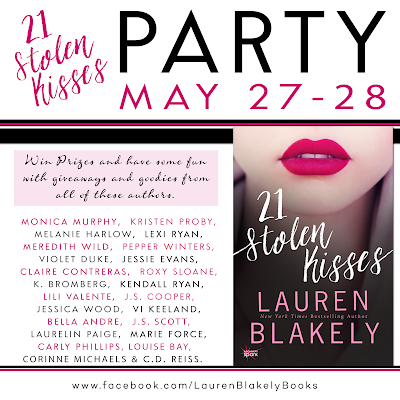 Today I'm participating in a Release Week Blitz for Lauren Blakely's 21 Stolen Kisses. This is a very unusual book, one that I think you'll either love or hate. It's being billed as a "New Adult Forbidden Romance" - are you intrigued by that? Check out the rest of the post to find out which side of that I fall on, to check out an excerpt, get information about the Facebook party happening *right now,* and get in on a giveaway! 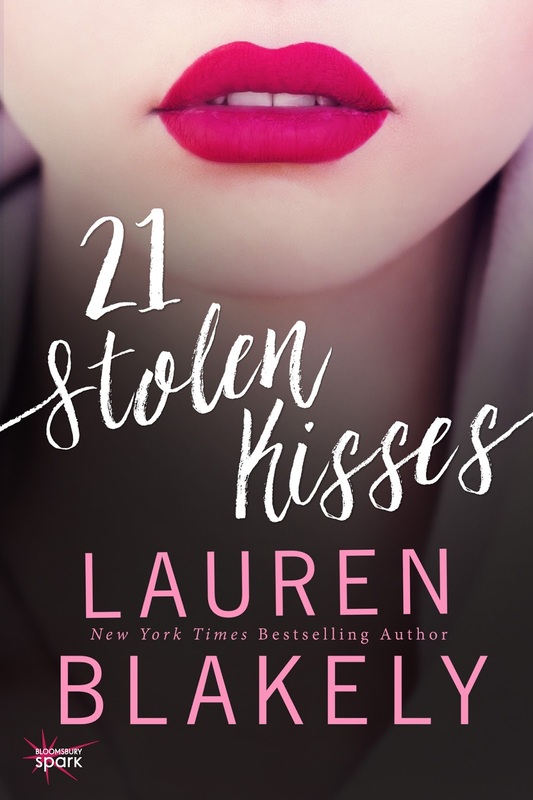 21 Stolen Kisses is available now! As I said in the teaser for this post, 21 Stolen Kisses is, I think, a very divisive book. You'll either love it, or you'll hate it, and I don't think many people will fall in the middle about this one. Kudos to Lauren Blakely for not shying away from a really controversial, challenging set-up for a New Adult romance novel. The set-up for 21 Stolen Kisses is that Kennedy, nearly eighteen, is in love with her mother's agent, Noah, who is twenty-five. I suspect the controversy here is obvious. The book is certainly conscious of it, and Kennedy and Noah both address the age difference - and particularly Kennedy's age - in different ways. I appreciated that this was tackled, and even agonized over. But more importantly, the age issue was only one component of a bigger story about love, family, and friendship. 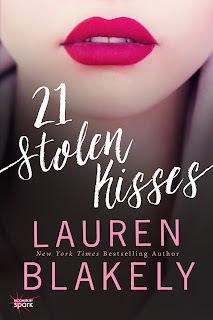 I loved that 21 Stolen Kisses asks the reader to understand love and affection on a broader spectrum than right, wrong, lust, love at first sight, and so on. There's a sense of loving in spite of, or regardless of various circumstances and conditions. And I think that's very true to life, particularly when it comes to family. Kennedy walks a difficult line between too mature and still a teenager. It would make the book more comfortable if she always behaved mature beyond her years, so I appreciated that she sometimes acts her age. I think she does mature through the story of the book, and her emotional journey would have had me hooked even without the romantic elements. I also really liked the way that the past and present - and the letter Kennedy wrote that inspires the book's title - are woven together. 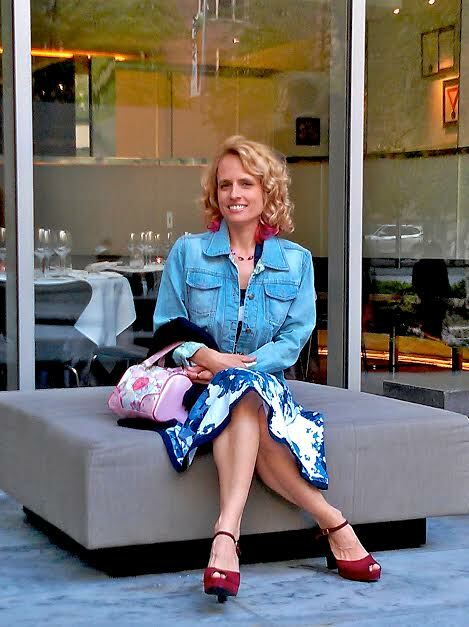 I think that it's a very difficult thing to do well, but it felt absolutely necessary here, to create a balance between romance and regret, hope and pain, and so forth. Also? There were tears. So many tears - sad and happy. This is an excellent, excellent book, guys. 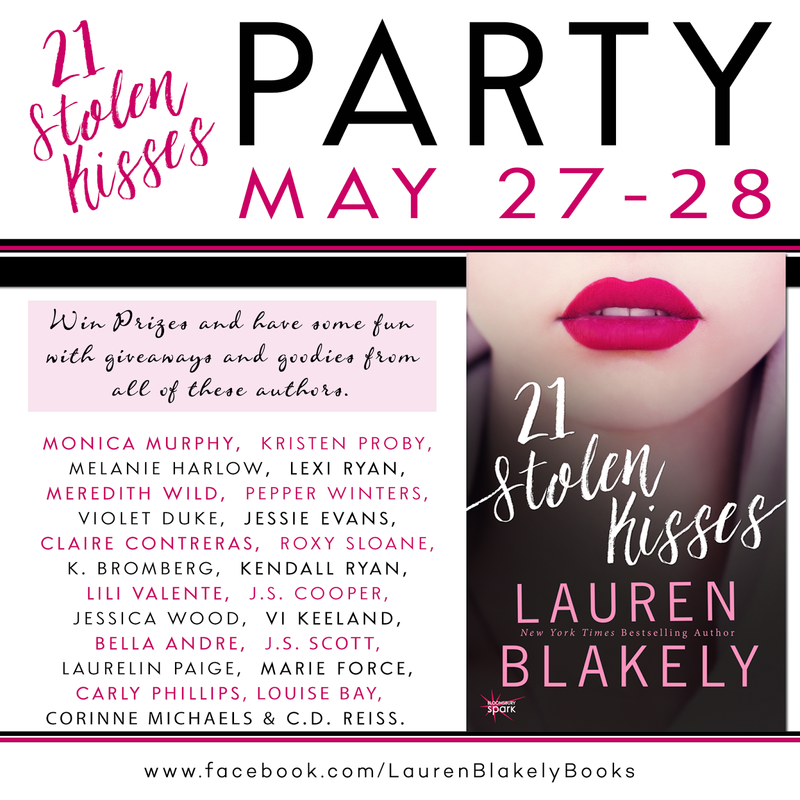 Truly, I think 21 Stolen Kisses could make for an excellent book club selection, if your book club is a little adventurous. I loved 21 Stolen Kisses. It is not an easy book, but I think it's a beautiful, emotional, honest story and I look forward to re-reading it already. This, to me, is something that great New Adult handles well - exploring characters as they come into a more adult maturity and a more emotionally complex understanding of their world.